It is called an ACL tear; anterior cruciate ligament. 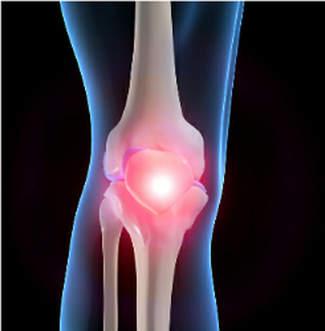 It’s more or less an X-type ligament that actually helps keep the knee together. If you have an ACL tear as an athlete, it can be a devastating problem. Many athletes and many people who have ACL tears actually don’t feel anything dramatic. They just hear a pop and then they notice they have some pain. That’s an example of how the ACL actually severs and separates. It can be a problem but it can be fixed with rehab and lots of conditioning.